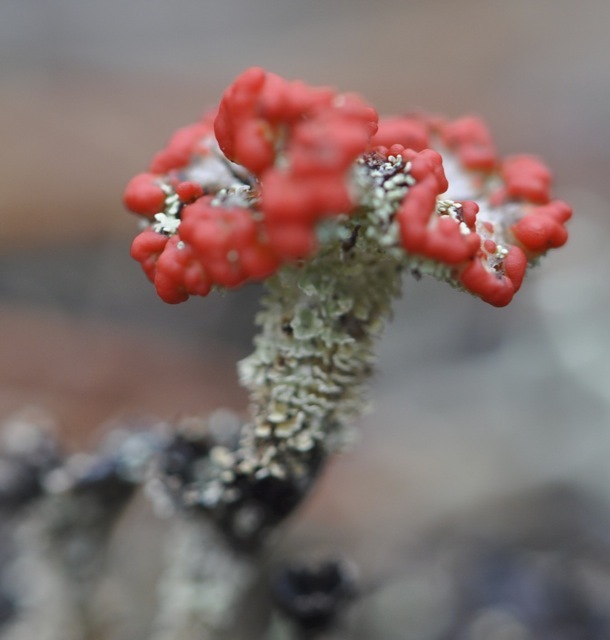 Lichens are often grouped together with plants, though they are actually composites of algae and fungi — and our understanding of the complexity and number of actors involved in this relationship is still evolving. 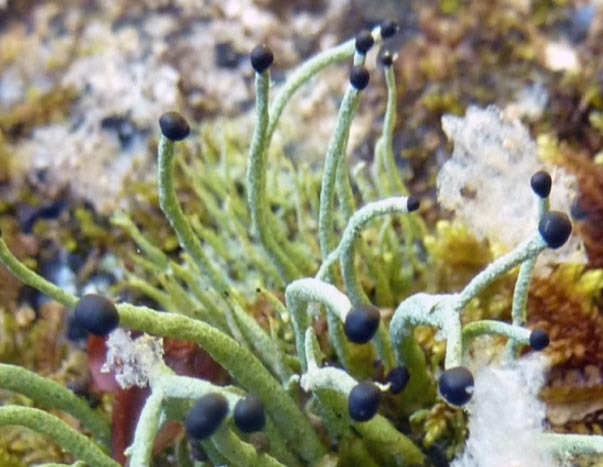 The algae provide the fungi with food through photosynthesis, and the fungi provide the algae with shelter from the elements. 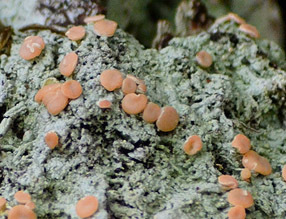 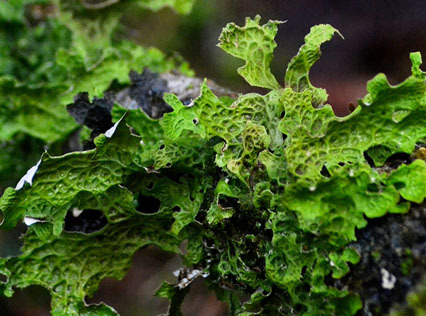 Combinations of algal and fungal species are so specific that they are given their own species names as lichens. 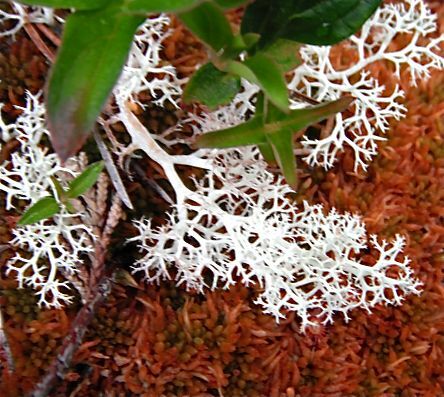 Due to their small size, accurate identification of lichens can be tricky and may require a hand lens, a microscope, or chemical tests. 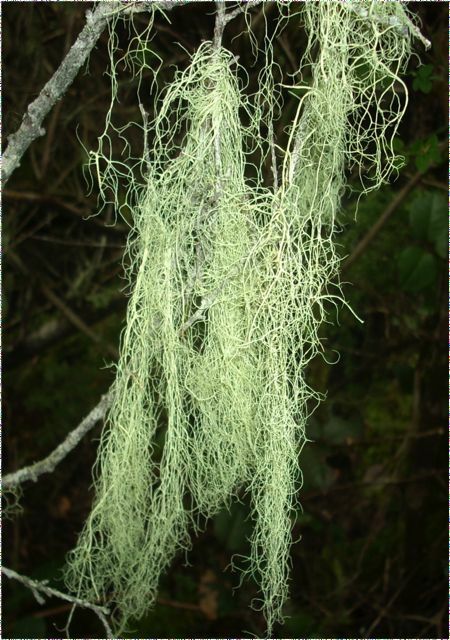 For this reason, a selection of the Central Coast's more common, interesting, and/or easily-identified species and genera are profiled here. 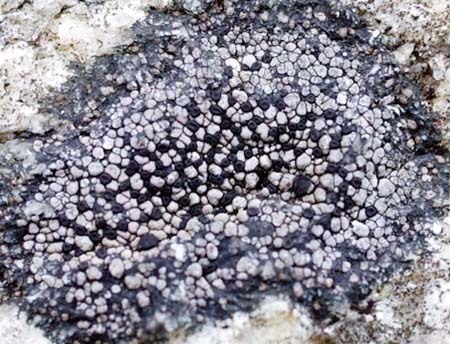 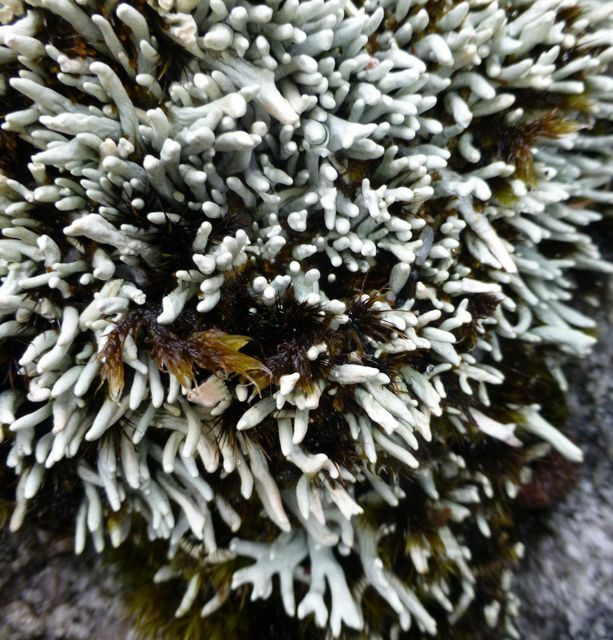 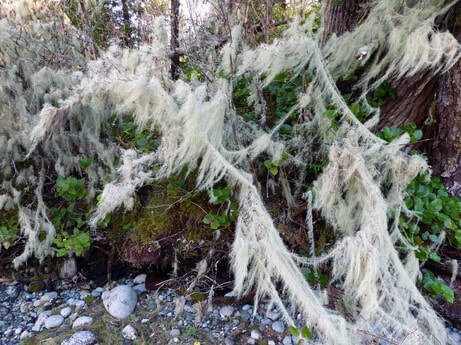 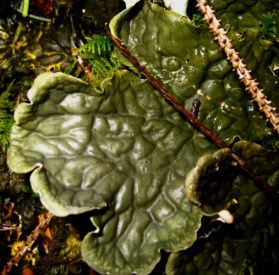 Click here for a list of some of the Central Coast lichens identified during the 2018 Calvert Island Terrestrial Bioblitz.